I realize that when you hear 'graveyards' macabre thoughts and images often come to mind, but truth be told, I love graveyards. I find them peaceful, soothing and full of information, especially old ones - I just love the weathered stones. And, while I DON'T advocate class trips or holidays spent there with your child, there is actually a lot to be said about visiting them. Graveyards were originally used by families (often of middle or lower social class status) in the 8th-14th centuries who could not afford to be buried inside or beneath the places of worship which administered them. From the early 19th century cemeteries replaced graveyards as burial sites. Cemeteries are typically not affiliated with a specific church or parish, often for reasons of public hygiene and sharp population rises. Neil Gaiman's The Graveyard Book - about a boy named Nobody Owens who after his family's murder is adopted and raised by graveyard occupants, and is befriended by a lonely girl, Scarlett Perkins. Together they learn about life and friendship (and as Gaiman notes, "the glorious tragedy of being a parent"- about growing up and moving on), while being embroiled in the mystery of Nobody's family's tragedy. It is a great book to be enjoyed by kids and parents, and is similar to The Jungle Book which could be read with this and be a wonderful point for comparison. You can talk about city planning - cemeteries and graveyards take up space - talk about where you usually find them, talk about planning and zoning options people and cities might have. This allows you to problem solve and look at graveyards from a totally different perspective. How old these people were when they died? How long ago did they die? How many decades did they live (every 10 years); how many scores did they live (20 years..."Four score and seven years ago....) how many dozen years (multiples of 12), etc. You can even create names for year chunks (is there a term for "8 years" besides '8 years'? If not you and your child / student can coin your own). Look at the language and words chosen to describe the life of the deceased. Talk about the importance of the wording and how to relate the essence of someone's life in just a few words. How do you feel about graveyards? Would you integrate them into lessons or outings with your kids? 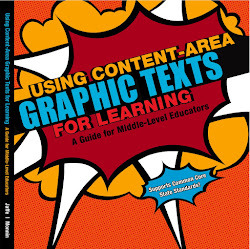 I am a new follower....as a school media specialist...I love integrated units around a book. Have you read "Here Lies the Librarian" by Richard Peck...great read with a graveyard scene that is pretty funny! Have a literary day....I will be immersed in Dr. Seuss all week! New follower here from the blog hop :) (http://thesecond-thought.blogspot.com). I think graveyards are fascinating and rich with history..definitely worth introducing so that children learn not to be frightened of them. The first time I heard someone (my teacher) say that she find graveyards to be peaceful, I thought she was weired. But as I grew up, I now know what she meant. I enjoy reading the weathered stones, and what people had engraved about their loved ones. Some are sad, though. After my husband's funerak, I have felt uneasy in a graveyard and certainly unhappy. There is one grave with two names on the headstone. A father and his son died on the same day during a holiday in France. I know the woman who lost them. Then there is the grave of two babies, born premature. On the headstone it says:"So long dear boys". There is so much sadness...Well, Meryl, your post is well written and I can understand that this is a good way to deal with death and bereavement. I find visiting old cemeteries interesting. I like to read the weathered stones also. I enjoyed the poem, I hadn't read that one before. Gigi Ann ABC Wednesday Team. My Dad used to take me to graveyards as a child, he used the visits as history lessons. I love visiting cemeteries and graveyards too. Love taking photos of the various pieces of artwork there. Fascinating thought to use the graveyard as a learning tool for kids. It certainly makes sense. Thanks for the definition of graveyard and cemeteries. I hadn't actually thought there was a difference. I haven't read Graveyard book but have read the Jungle books with my kids. I love to visit graveyards too, especially old ones. Thanks for the info about the book and for sharing the poem. I think graveyards are fascinating and YES, I think integrating graveyards into lessons is a fabulous idea! You just made graveyards very interesting! I have that book, but I haven't got to it yet. This post is a treat to me. I have always been fascinated by graveyards and cemeteries; guess my nostrils were on graveyards half the time I was in England. And yes, I will definitely integrate your suggestions on graveyard lesson for my kid. I hated Math in school but befriended it when I found I have to know how to subtract to have fun finding out how long did those people lived. As long as we visit graveyards and take a moment to read the names and think about the people who died they will live again for a moment. Hi I am with you I also love graveyards as you are right the history is wonderful. I live near a very old one and the grave stones are so interesting to read. I am a new follower from the blog hop and I am in the uk. We have a very successful Living Churchyards scheme where the area is ecologically managed and so wildlife and flora thrive. Sometimes there are lists on the noticeboards of all the species that have been spotted through the year. I always like a browse around a graveyard, not so much the municipal ones, they are a bit regimented, unless there is some over the top Victorian tombs. Love the Robert Frost, as usual, says everything. Lots of great ideas. I like to look for the old yew trees which are a mark of English graveyards. Some grow to be hundreds of years old. I do prefer grave yards to cemeteries. Really an interesting post. My friend's daughter aged 12, her class teacher got the whole class to go to the oldest cemetery in Christchurch to do a Statistical research of his family. s name. Otherwise the ghost will know that name, and come for him at night. We had to drive past grave yards to the airport, and it as very scary. I always did a graveyard project with my seventh graders. It worked as a great ending to their American Dream project. We went to some old local graveyards and they hypothesized lives for some of the gravestones they saw, then ended it with the writing of their own obituary. Made them think. Hi Meryl, this is such an informative take on the theme. I am someone that is and have been fearful of graveyards/cemeteries. I avoid the experience as much as possible. But on a visit to Prague, one of the most powerful experiences I've had while traveling was when I went to visit old cemetery in the Old Jewish Town. It was one of the most powerful memory that I have from all of my travels even to this day. Reading your enlightening post gives me a different way of thinking of them and you provided wonderful recommendations for those with children. Thank you for the book recommendation and wonderful poem and this enlightening post. I enjoy graveyards also--they seem peaceful and restful and I've had some very positive experiences at graveyards. I love the family history aspect of graveyards and would definitely involve my kiddos in that kind of research! Thank you for sharing this at Teach Me Tuesday!! We took a group of school kids to a local historic cemetery. Aside from the bone that one of them found in a very old section, and wanted to take home, it was a very pleasant day. (There was a woodchuck hole not far from an old headstone.) We popped the bone back down in the hole, hoped that was where it belonged, and let the cemetery personnel know. Night on Bald Mountain is a favorite. Oh! Pipi Longstocking was one of my heroes when I was little.